The study also showed that 15 mg to 20 mg of rivaroxaban each day was linked with an increased risk of fatal bleeding (two trials, OR 2.37, 95% CI 1.30-4.29). On the other hand, 10 mg of rivaroxaban each day or 5 mg taken twice a day (three trials, OR 1.47, 95% CI 0.72-2.97) and 5 mg of apixaban taken twice per day (one trial, OR 0.66, 95 % CI 0.19-2.35) were not linked with an increased risk. Increased risk of major bleeding compared with aspirin was seen with 15 mg to 20 mg dose of rivaroxaban each day (two trials, OR 2.64, 95% CI 1.68-4.16) and a 10 mg dose of rivaroxaban once a day or 5 mg twice per day (three trials, OR 1.56, 95% CI 1.31-1.85). Source Reference: Huang W, et al “Association of intracranial hemorrhage risk with non–vitamin k antagonist oral anticoagulant use vs aspirin use a systematic review and meta-analysis” JAMA Neurology 2018; DOI: 10.1001. Xarelto Flop in Stroke Prevention Trial; Syncope Device; Workout by Watching Hockey, Theater? The FDA today expanded the indication for rivaroxaban (Xarelto, Johnson & Johnson) to include the treatment of deep vein thrombosis (DVT) and pulmonary embolism (PE) and to reduce the risk of recurrent DVT and PE. The oral anticoagulant is already approved to reduce the post-surgical risk of DVT and PE after hip and knee replacement surgery and to reduce the risk of stroke in people with atrial fibrillation. The new indication was granted under the FDA’s priority review program. “Xarelto is the first oral anti-clotting drug approved to treat and reduce the recurrence of blood clots since the approval of warfarin nearly 60 years ago,” said Richard Pazdur, director of the FDA’s Office of Hematology and Oncology Products, in an FDA press release. 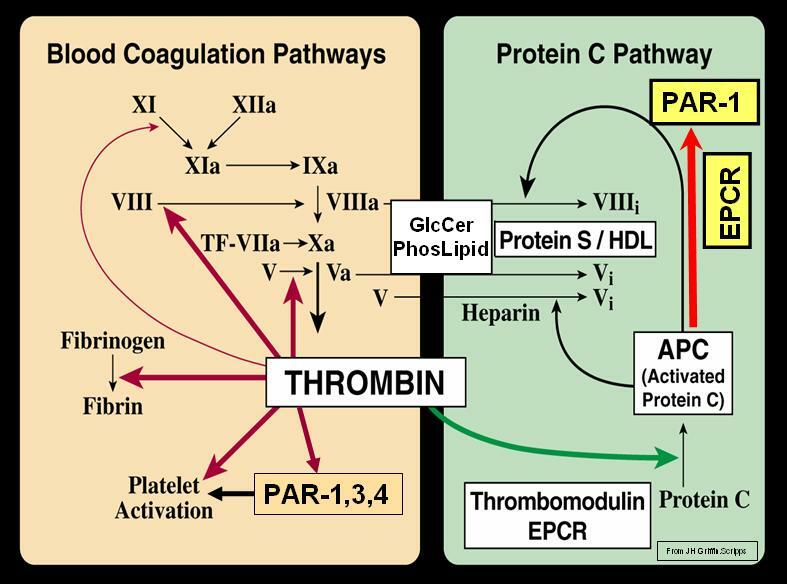 The U.S. Food and Drug Administrationtoday expanded the approved use of Xarelto (rivaroxaban) to include treating deep vein thrombosis (DVT) or pulmonary embolism (PE), and to reduce the risk of recurrent DVT and PE following initial treatment.Blood clots occur when blood thickens and clumps together. DVT is a blood clot that forms in a vein deep in the body. Most deep vein blood clots occur in the lower leg or thigh. When a blood clot in a deep vein breaks off and travels to an artery in the lungs and blocks blood flow, it results in a potentially deadly condition called PE.Xarelto is already FDA-approved to reduce the risk of DVTs and PEs from occurring after knee or hip replacement surgery (July 2011), and to reduce the risk of stroke in people who have a type of abnormal heart rhythm called non-valvular atrial fibrillation (November 2011). The FDA reviewed Xarelto’s new indication under the agency’s priority review program, which provides an expedited six-month review for drugs that offer major advances in treatment or that provide treatment when no adequate therapy exists. “Xarelto is the first oral anti-clotting drug approved to treat and reduce the recurrence of blood clots since the approval of warfarin nearly 60 years ago,” said Richard Pazdur, M.D., director of the Office of Hematology and Oncology Products in the FDA’s Center for Drug Evaluation and Research. Other drugs approved by FDA to treat or reduce the risk of blood clots include Lovenox (enoxaparin), generic versions of enoxaparin, Arixtra (fondaparinux), Fragmin (dalteparin), Coumadin (warfarin), and heparin. The safety and effectiveness of Xarelto for the new indications were evaluated in three clinical studies. A total of 9,478 patients with DVT or PE were randomly assigned to receive Xarelto, a combination of enoxaparin and a vitamin K antagonist (VKA), or a placebo. The studies were designed to measure the number of patients who experienced recurrent symptoms of DVT, PE or death after receiving treatment. Results showed Xarelto was as effective as the enoxaparin and VKA combination for treating DVT and PE. About 2.1 percent of patients treated with Xarelto compared with 1.8 percent to 3 percent of patients treated with the enoxaparin and VKA combination experienced a recurrent DVT or PE. Additionally, results from a third study showed extended Xarelto treatment reduced the risk of recurrent DVT and PE in patients. About 1.3 percent of patients treated with Xarelto compared with 7.1 percent of patients receiving placebo experienced a recurrent DVT or PE. 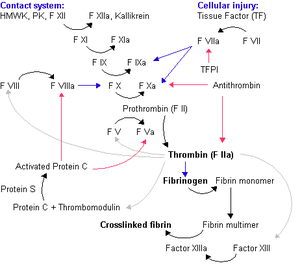 The major side effect observed with Xarelto is bleeding, similar to other anti-clotting drugs. Xarelto is marketed by Raritan, N.J.-based Janssen Pharmaceuticals Inc.
ATLANTA, Georgia — Patients with atrial fibrillation receiving anticoagulant therapy are more likely to experience gastrointestinal (GI) bleeding when treated with rivaroxaban than when treated with warfarin, according to a new analysis of data from ROCKET AF. Christopher Nessel, MD, from research and development at Johnson & Johnson in Raritan, New Jersey, reported the findings here at CHEST 2012: American College of Chest Physicians Annual Meeting. “Compared with warfarin, the risk of GI bleeding is increased with rivaroxaban, but the incidence of life-threatening or fatal GI bleeding is lower,” Dr. Nessel told Medscape Medical News. “A careful benefit/risk assessment is needed prior to prescribing rivaroxaban for high-risk patients,” he added. The analysis examined the incidence and outcomes of GI hemorrhage in 14,264 patients with nonvalvular atrial fibrillation enrolled in ROCKET AF. The patients were randomized to either rivaroxaban or dose-adjusted warfarin. All GI bleeding events were recorded during treatment and for 2 days after the last dose was administered. Severity of bleeding was defined by a corresponding drop in hemoglobin or transfusion of more than 2 units of red cells. The composite principal safety end point for GI bleeding events (upper GI, lower GI, and rectal bleeding) occurred more frequently in the 394 patients receiving rivaroxaban than in the 290 receiving warfarin (3.61% vs 2.60% per year; hazard ratio [HR], 1.39; 95% confidence interval [CI], 1.19 to 1.61). Major bleeding was more frequent with rivaroxaban than with warfarin (2.00% vs 1.24% per year; HR, 1.61; 95% CI, 1.30 to 1.99), as was clinically relevant nonmajor bleeding (1.75% vs 1.39% per year; HR, 1.26; 95% CI, 1.20 to 1.55). Patients who experienced major GI bleeding were more likely to have experienced GI bleeding in the past, to have mild anemia, to have a lower creatinine clearance, to be previous or current smokers, and to be older than patients who did not experience a GI bleeding during the trial (n = 13,552). They were also less likely to be female and to have previously experienced a stroke or transient ischemic attack. The incidence of severe bleeding (transfusion of at least 4 units) was similar in the rivaroxaban and warfarin groups (49 vs 47). Six patients developed fatal bleeding: 1 in the rivaroxaban group and 5 in the warfarin group. Independent commentator James Wisler, MD, from the division of cardiovascular disease at Duke University Medical Center in Durham, North Carolina, pointed out that this study underscores the importance of critically evaluating these newer anticoagulants when considering their use in a given patient. “The decision regarding which anticoagulant to use for a given patient is complex, and risks and benefits need to be considered thoughtfully,” he told Medscape Medical News. He added that the results of this study might give some physicians pause about initiating a newer anticoagulant, such as rivaroxaban, in a given patient with atrial fibrillation and an unfavorable risk profile, such as those with a previous GI bleed. “While the previously published results from ROCKET AF suggested that the risk profiles were similar between rivaroxaban and warfarin, these results demonstrate that there is indeed a subpopulation of patients who may be better served with warfarin than rivaroxaban,” he explained. According to Dr. Wisler, both this analysis and the initial ROCKET AF study demonstrate that rivaroxaban is associated with fewer episodes of severe or fatal bleeding events, despite the increase in major and clinically relevant nonmajor bleeding observed in the specific subgroup of this study. “Currently, it is unclear why this discrepancy exists,” he added. He recommends that clinicians take a careful patient history to assess bleeding risk factors when considering the initiation of a newer anticoagulant such as rivaroxaban. “While perhaps more convenient and efficacious, certain patient populations, such as that evaluated in this study, may receive net harm from these newer agents,” he said. CHEST 2012: American College of Chest Physicians Annual Meeting. Presented October 22, 2012.